Welcome to the dental office of Dr. Olakunbi Onime. At our practice, we are dedicated to providing the finest dental care to the members of the Tyler community and its surrounding areas. From the moment you walk into our office, you will be greeted by our friendly staff who will do their utmost to ensure that your visit with us is as comfortable as possible. 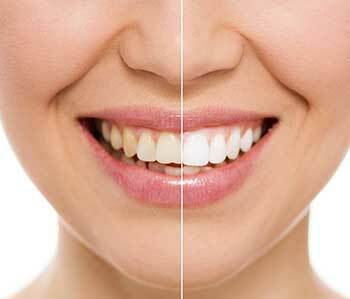 We specialize in all areas of oral health care including preventative, restorative and cosmetic dentistry. Professional dental care, beautiful aesthetic results, integrity and a gentle touch are the fundamentals that define our practice. Your visits with us are all about you, your comfort, happiness and complete satisfaction with your care. Our mission is to establish a lifelong bond with our patients and we treat everyone like family. We always stay informed of the latest advancements in dental technology and we will take the time to discuss different options with our patients to arrive at the best personalized plan for each individual. We invite you to contact our office so that we can help you achieve the beautiful and healthy smile that you've always wanted. 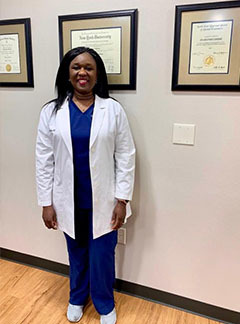 Dr. Olakunbi Onime was born in Nigeria where she practiced dentistry before moving to the United States. She attended the New York University Kriser Dental Center and graduated in 2003. Since then she has practiced in North Carolina, New Mexico and Texas. "The entire staff is very friendly, and professional"
"The dentist has a very pleasant bed side manner. The entire staff is very friendly, and professional. There's no long waiting time to be seen. And I'm very pleased with my overall experience. And I would recommend KayCare Family Dental. Located in Tyler TX. To anyone who is looking, for a dentist." "I love the Dr and her friendly staff!" "I love the Dr and her friendly staff! I see her and so does my 2 year old and we both approve! Same day appt and extractions and the Dr makes pulling teeth bearable always quick and always friendly! I would strongly recommend to anyone in need of a great dentist!" 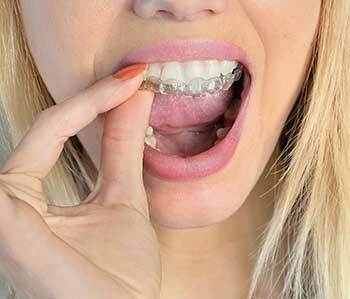 If you are looking for a highly trained and experienced dentist in Tyler, you have come to the right place. At our practice, you will receive the highest quality dental care. *Special offers are for new patients without dental insurance.